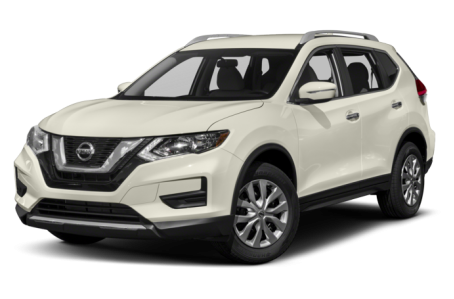 The 2018 Nissan Rogue is a compact SUV that seats up to seven passengers. It is powered by a standard 170-hp, 2.5-liter 4-cylinder engine mated to a continuously variable automatic transmission (CVT). Front-wheel drive comes standard, while all-wheel drive is optional. Fuel economy for the FWD models is an EPA-estimated 26/33 mpg city/highway. It slightly lowers to a 25/32 mpg rating for the AWD models.